Is this Sudoku? Well... YES! ...and NO! 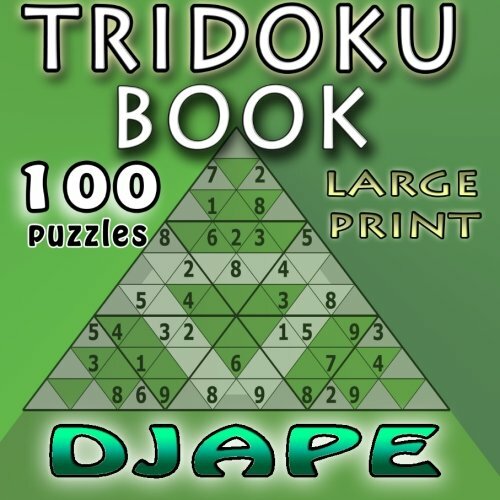 TriDoku puzzles have the same number of cells as Sudoku: 81. However, there are no rows or columns! Instead, there are triangles. In fact, the whole grid has gone triangular. The “nonets’ are there, but instead of being 3x3 squares, they‘ve become triangles, too. Oh, and did you know that in Tridoku puzzles there are also lots of hexagons? However, despite all those differences, the basic principle of Sudoku still applies: you cannot repeat a number in any of the defined regions. It’s a lot of fun and a chance to develop new problem solving skills! All puzzles are NEW, previously unpublished and they are printed in LARGE FONT.